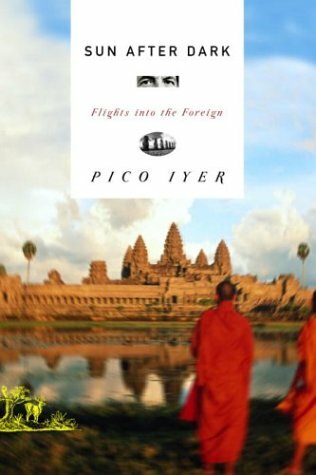 Pico Iyer’s remarkable talent is enough justification for going anywhere in the world he fancies. 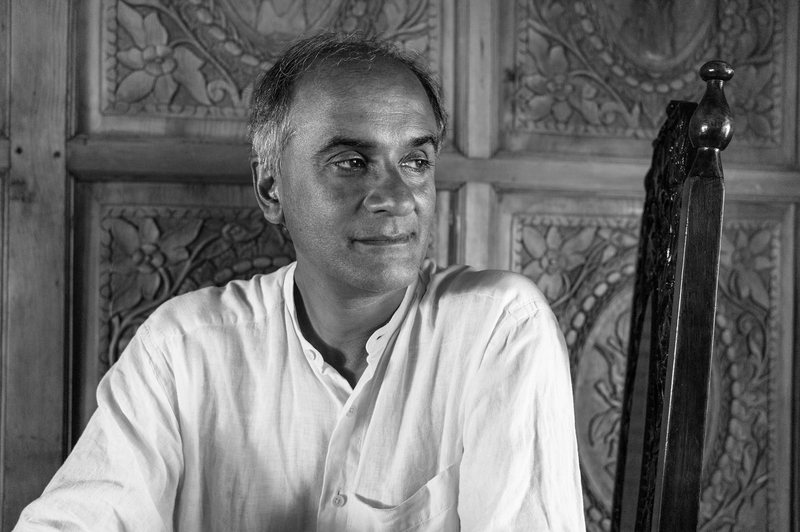 As a guide to far-flung places, Pico Iyer can hardly be surpassed. Iyer uses a fluid blend of argument and anecdote to make a persuasive and eloquent case that contemplating internal landscapes can be just as rich an experience as traveling through external ones. The fact that he has traveled to some of the world’s most obscure corners only strengthens his credibility as a defender of stillness. 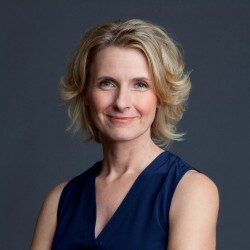 Fantastic…articulate, funny, and riveting…incredible wisdom and deep thinking wrapped in wicked humor. I would highly recommend him. Pico is a genuine and truly remarkable thinker, not only in a chosen field of knowledge, but an expansive list of global concerns. He can speak to a range of topics from travel to stillness with such agility, and each answer has the depth that only years of attention to the detail around you and the curiosity of the active observer can create. This was one of the best speaker series events we have had… Pico presented a wonderful talk and answered questions from the audience for more than 1.5 hours. I received very positive feedback from the startup community. 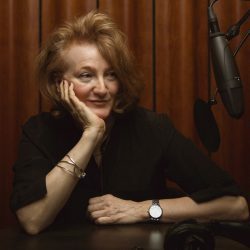 We have so few good interviews because of so many poor interviewers, who must insert their own experiences, thoughts or even preferences—the untrained and unrestrained ego! Whereas you know when to gently step in to take something to the next level or to offer a fresh avenue; otherwise you are a silent and joyfully appreciative listener. 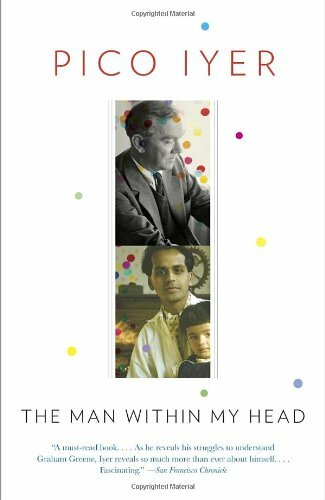 Iyer’s first book was completed while he was still working as a world affairs writer for Time. Video Night in Kathmandu chronicled his explorations across ten countries in Asia and the way these lands have been affected—or not—by the influence of Western culture. “A sensual feast of rich impressions,” according to The Los Angeles Times, Video Night in Kathmandu was praised for its refreshing wit, originality, and insight. 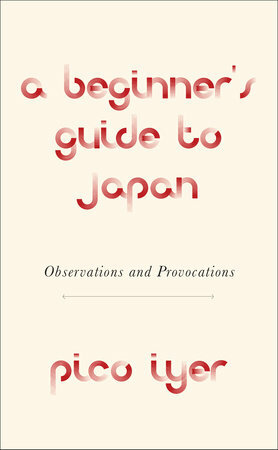 In his subsequent travel writing, Iyer continues to meditate on the intensifying criss-crossings between East and West, past and present, projection and reality. Iyer recently gave three TED Talks in the space of three years, which together earned eight million views. 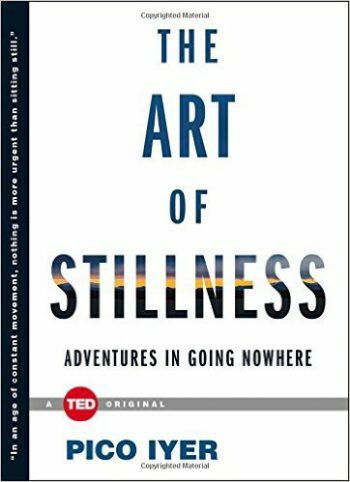 Those talks are a complement to his 2014 book, The Art of Stillness, the second TED Original published. In his book as well his TED Talks, Iyer speaks to the need to open up space in our crowded lives and remember what we care about most. He has spoken to audiences at Google, Coca-Cola, Fox Broadcasting, and the World Economic Forum in Davos, and universities including Harvard, Yale, and Princeton. 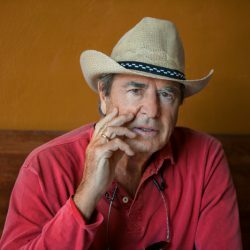 His books have been translated into more than 20 languages, and he has written liner notes for Leonard Cohen, a film script for Miramax, a libretto for a chamber orchestra, and the introductions to more than 60 other works. 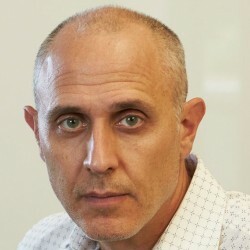 He regularly writes on literature for The New York Review of Books; on travel for The Financial Times; and on global culture and news for Time, The New York Times, and magazines around the world. 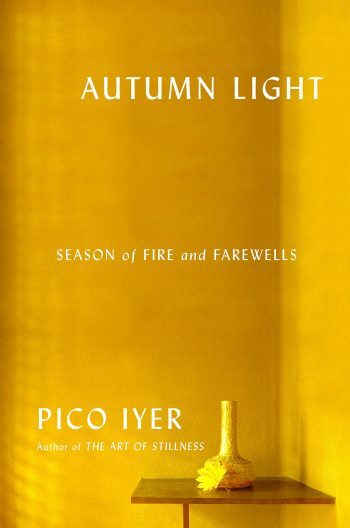 Iyer’s newest book, Autumn Light, out in April 2019, is a far-reaching meditation on impermanence, mortality, and grief that draws extensively on his more than 30 years of living in Japan, a country whose calendar is marked with occasions honoring the dead. A very different yet complementary work, A Beginner’s Guide to Japan, will also appear in 2019, a few months before the 2020 Olympics in Tokyo. Iyer was born in Oxford, England to parents from India. He was educated at Eton, Oxford, and Harvard, and earned master’s degrees from Oxford and Harvard as well as an Honorary Doctorate in Humane Letters. In 2019, he will be a Ferris Professor of Journalism at Princeton. Since 1992, he has been based in rural Japan with his wife, while spending part of each year in a Benedictine hermitage in California. 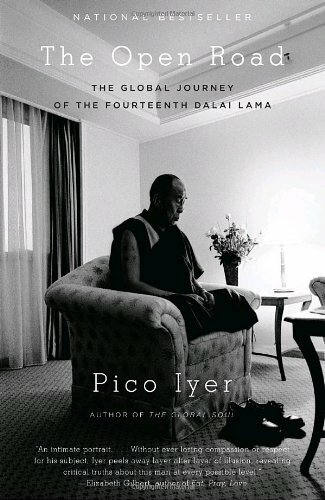 For more information on Pico Iyer, please visit picoiyerjourneys.com. [An] engrossing narrative, a moving meditation on loss, and an evocative, lyrical portrait of Japanese society. [A] beautiful little book. . . fills an important niche. 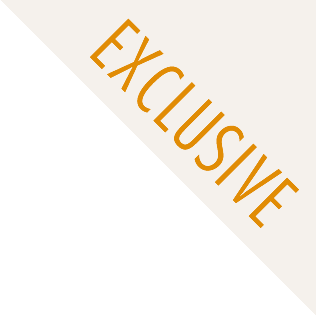 . . Iyer wants to make the conscious practice of stillness palatable to everyone. A book filled with insights, sadness, rumination and splashes of the dazzling travelogue that Iyer’s readers have come to expect. An affectionate but clear-eyed portrait of a great and goodly man that is simultaneously a meditation on the emerging shape of our new millennium…A book by a visionary about a visionary. A superb collection of essays, book reviews and unclassifiable miscellany. Iyer is an inveterate traveler who seems to have been everywhere, seen everything and talked to everyone. 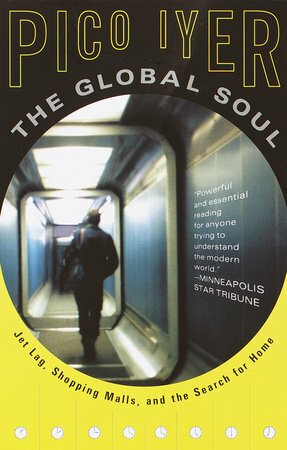 Iyer brings a fine spiritual current to his writing, and his descriptive talents are unsurpassed.